(CNN) - It's official. Sen. Ted Cruz is now a citizen of the United States - and the United States only. If you remember, the Texas Republican was born in Canada to an American mother and a Cuban father. As such, he was a dual citizen - an American because of his mother, and Canadian because the country, like America, grants automatic citizenship to anyone born there. -this vicious guy is never a threat to POTUS. USA is not that idiotic to elect this weasel. We can ship him back to Canada–I doubt whether Canadians agree to this deal. He looks like a cross between Bob Barker & Jimmy Swaggert. "an American because of his mother"
6 words CNN refused to say while it was milking the birthers for nontroversy. Was his mother born in Kansas? The 2016 GOP campaign will be filled with all sort 'But inHIS case it's different!!!' rants from birthers! And CNN will love to ignite THIS nontroversy. Show me your papers!!! And even if you show them, I don't believe them. It's a forgery. Go back to making maple syrup you foreigner. Um, Ted Cruz's father was not American at the time of his birth. He was Cuban. That's right... who happily fought alongside Fidel Castro as a teen TED CRUZ's FATHER IS A CUBAN. Rafael Bienvenido Cruz, who immigrated to the U.S. from Cuba, told NPR that though he came to the country legally, he essentially bribed an official to get out of Cuba so he could come over.In an interview near his home outside Dallas, the elder Cruz says that as a teenager, he fought alongside Fidel Castro’s forces to overthrow Cuba’s U.S.-backed dictator, Fulgencio Batista. He was caught by Batista’s forces, he says, and jailed and beaten before being released. It was 1957, and Cruz decided to get out of Cuba by applying to the University of Texas. Upon being admitted, he adds, he got a four-year student visa at the U.S. Consulate in Havana. And his mother was an American. And he was born in Calgary Alberta. I don't know how having a Cuban father makes you more American than Obama somehow. 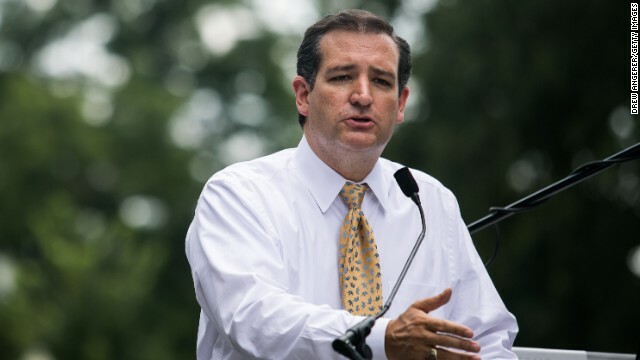 How much did Ted Cruz actually make , directly or indirectly from the government shutdown ? $$$$$$$$$$$$$$$$$$$$ for friends and family ? There is nothing worse then a want to be Texan . It took Cruz over 40 years to renounce his Canadian citizenship. It would probably take him just as long to realizes that he has no shot of winning the presidency. Has this been verified by Donald Trump? can we get you to reconsider Ted? How about moving back there permanently??? He has his people in Toronto, and you won't believe what they are finding! This still doesn't change the fact that this teaklan terrorist WAS BORN ON CANADIAN SOIL NOT THE US!!!! He can have one hundred American mothers for all we care. He is NOT a real US citizen but a naturalized citizen. I doubt that even Cuba, where he truly belongs, would see him as Cuban. He had double citizenship which many foreign born keep even when they become naturalized US citizens. Gawd, how hard is this to understand? So he gave up his country of birth to be an American citizen born in Canada. Thousands do so every day all around the US. That doesn't make any of them able to be president of the US! yeahright.....too funny, you can't make this stuff up. Is the Canadian version of Green Eggs and Ham the same? Sen Cruz gave up his Canadian citizenship because he can always start secessionist movement in Texas.